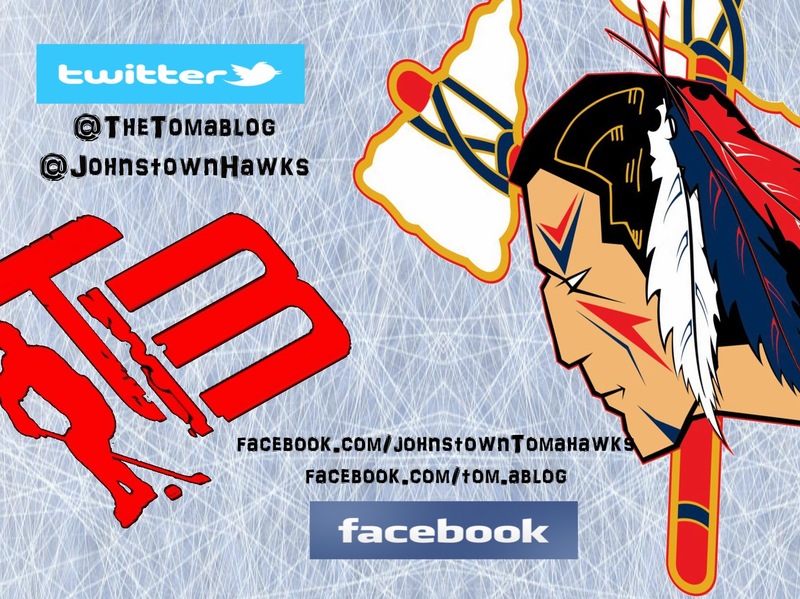 The last time the Johnstown Tomahawks played at the War Memorial was on New Year's Eve, vs. the Michigan Warriors. The Tomahawks won that game, 4-1, and swept the series. 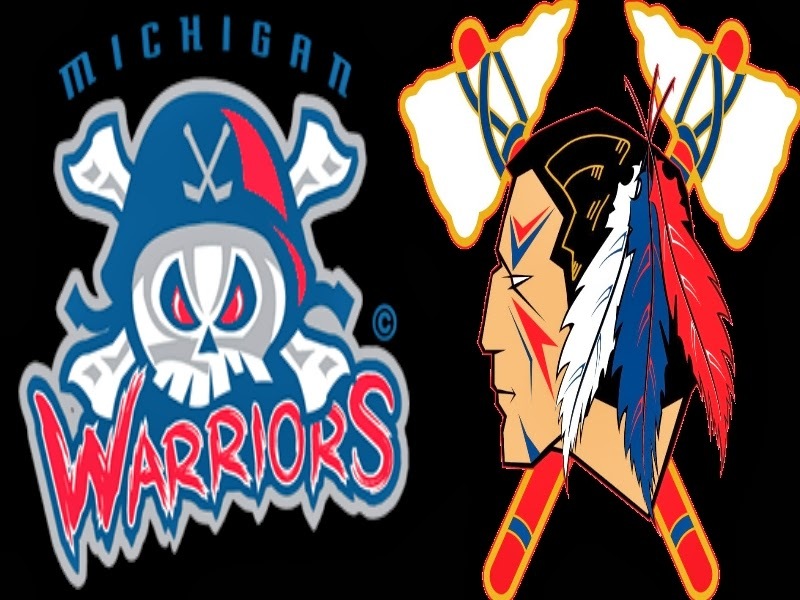 After another month long road trip, the Tomahawks will once again faceoff against the Michigan Warriors at the War Memorial. The Tomahawks will play Friday and Saturday, then host the first Tomahawks' Cup on Sunday and Monday. We're going to take a look at those games but first let's take a closer looking at the two NAHL games this weekend. The Warriors have already played a game this week, as they visited Port Huron on Wednesday, winning 4-1. 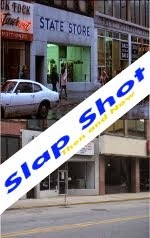 The Warriors also made a trade since the last time the two teams met in Johnstown. The Warriors traded goaltender Dillion Kelley to the Austin Bruins. 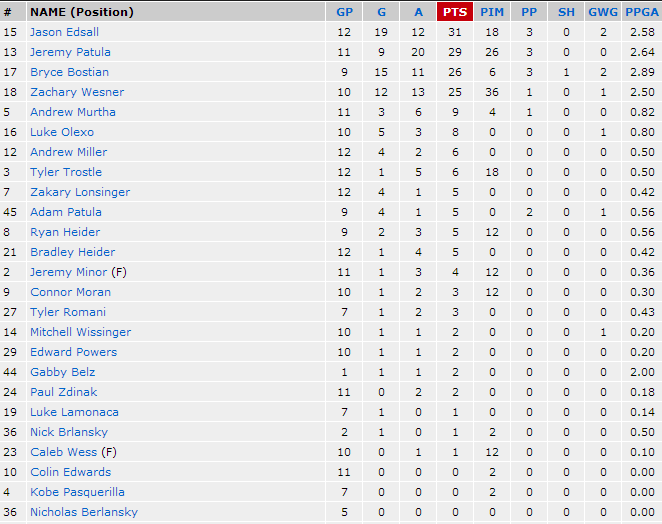 Kelley played four of the six games vs. Johnstown this season for Michigan. In those four games, he was 2-2 with a save percentage of .924. Michigan is currently on a three game winning streak and is 4-4-2 in their last ten games. Johnstown comes into the weekend having split in Port Huron last weekend. In their last ten games, they have a record of 5-5-0. 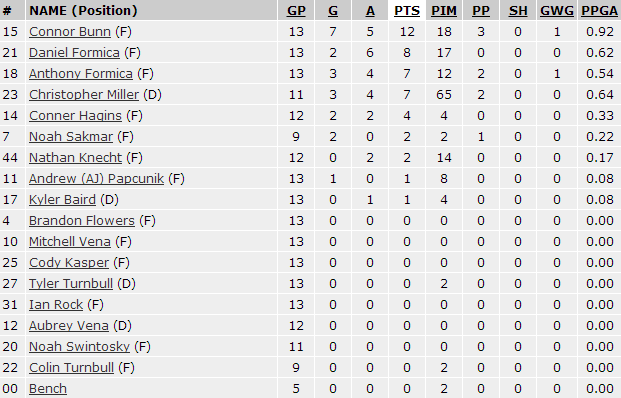 At home, this season Johnstown is an impressive 12-6-1. This will be the first time Johnstown fans get a look at 2013 first round NAHL draft pick Casey Linkenheld, who joined the team a couple weeks ago while on the road. Tristan Ramage and Logan DeJong are also still currently listed on the team's roster. Johnstown is 4-2 this season vs. Michigan. 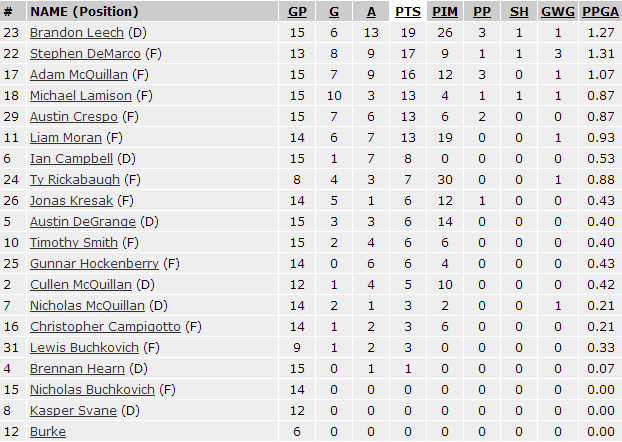 Here's the head to head stats, and after those we'll take a look at the Tomahawks' Cup matchups. 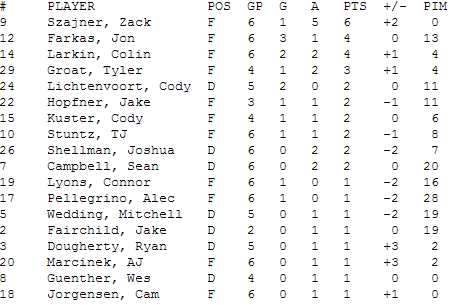 Michigan is 5 for 32 on the power play vs. Johnstown this season. Johnstown is 5 for 36 on the power play vs. Michigan this season. The coaches for the North division this season will be Port Huron's Mike Gershon and Michigan's Moe Mantha. The Tomahawks will send three players to the showcase this season. The players will be named at a later dated. You can see the whole press release here. 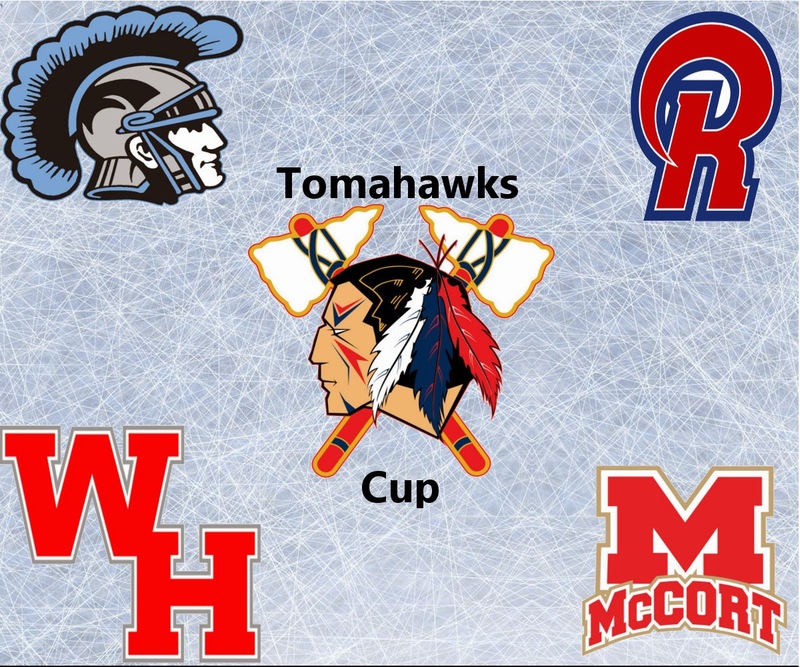 The Tomahawks are holding the first Tomahawks' Cup this weekend, which four local high school teams will compete in. This is a great chance to see some local hockey and possibly some future Tomahawks' players. Cody Boyd, and Corey Schafer both played for local high school teams before moving on to Junior hockey. Boyd played for Richland and Schafer played for Westmont. Tre Pridgen, who plays for Johnstown, tried out for the Tomahawks this past off season. Check out the official team press release here. Richland competes in the LMHL. Currently this season they have a record of 8-3-1 good for 3rd place. 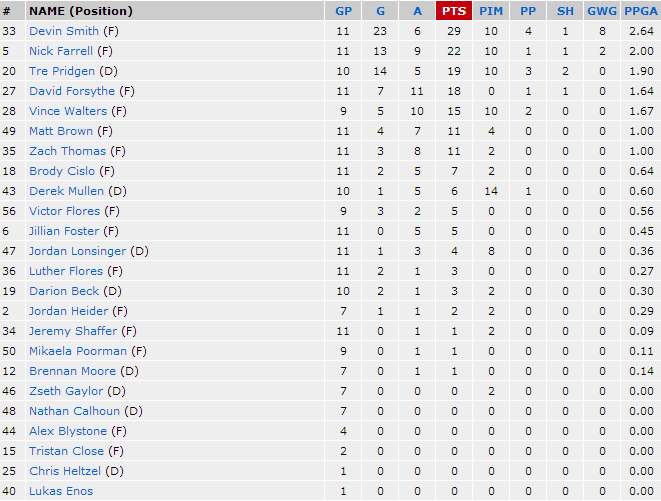 Westmont plays in the PIHL and has a record of 9-4-2, good for first place. Bishop McCort plays in the PIHL and has a record of 2-11-0, which is last place in their division.